Hi everyone! 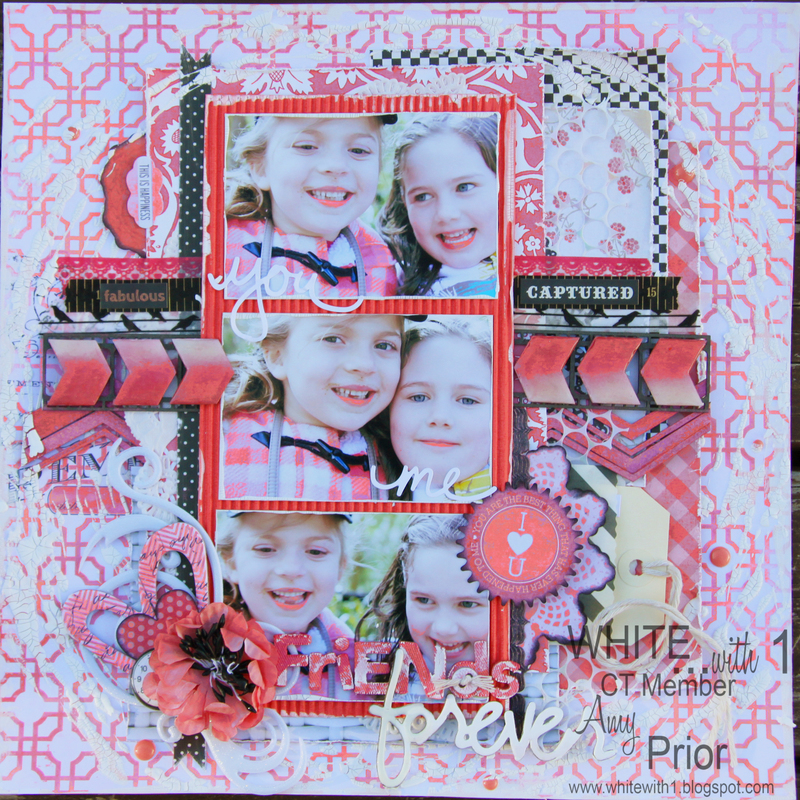 I am back today to share with you all my example layout for the A2Z Scraplets September Blind Challenge. Did you see it? 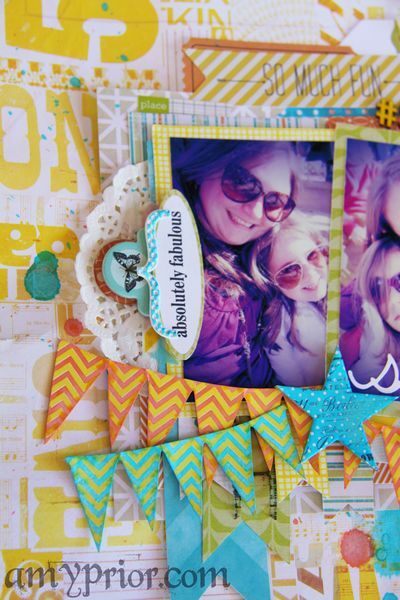 Click here to visit the A2Z Scraplets blog post to find out how to enter. You have until midnight tonight so hurry! What is a Blind Challenge I hear you say? Well a blind challenge is very simple. 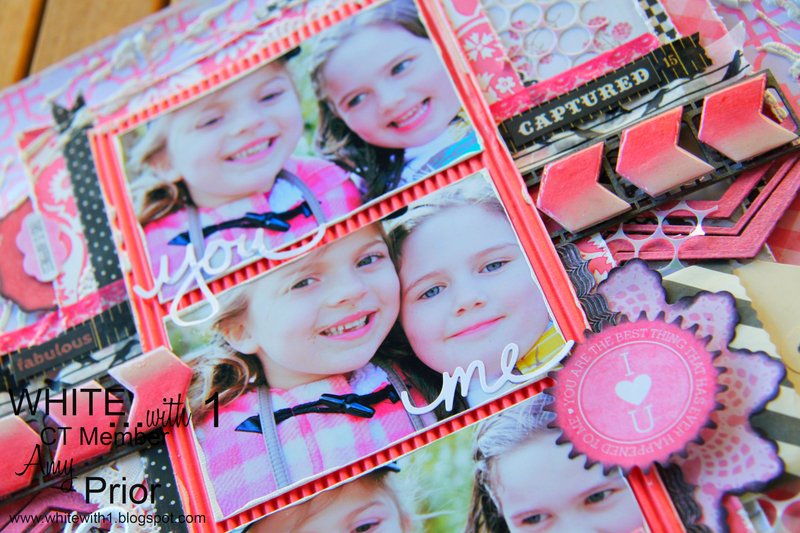 All participants are given the exact same set of basic instructions including measurements etc to create a scrapbook layout from and email to the Challenge Coordinator. How each person interprets the instructions is the truly amazing part, no 2 projects ever look the same and some vary so drastically which is so very exciting to see. All entries and examples have been left a secret until today, the last day of the month so no one could copy layouts etc. 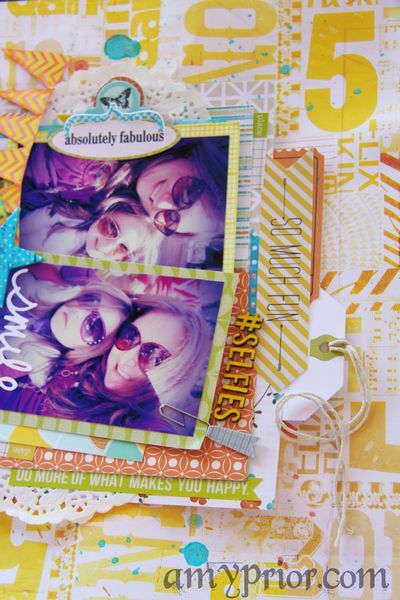 You can see some more inspiration from our Design Team on the A2Z Scraplets blog right here. We all had so much fun playing along with this and even I, the one who wrote the instructions, couldn’t keep to my own directions and have added and changed bits LOL. The whole point is to have fun and get inspiration in a new way. 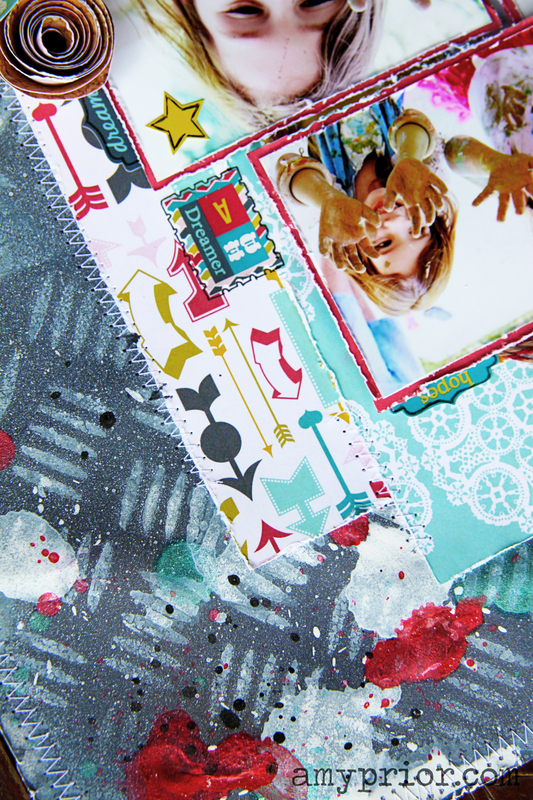 One of the very first instructions was to mask the background in 2 corners and add splatters. The instructions only mention one colour also but I was trying to go for the Chalkboard effect and wasn’t happy so needed to add some Colourful Splatters LOL. I have used the A2Z Scraplets Checkerplate Stencilet for it. The white masking and droplets were created using Dylusions White Ink Spray and I have then sprayed my A2Z Scraplets Believe to Achieve Title with the White Dylusions as well. 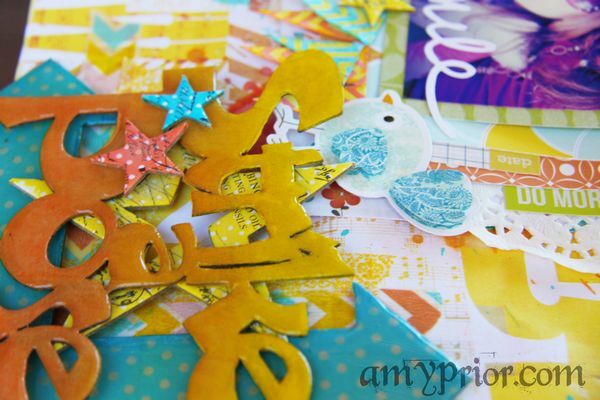 When I was splattering my background with colour using some Heidi Swapp Color Shine, I have also splattered lots of tiny droplet of colour onto the A2Z Scraplets Chipboard title and I have then dooled around the edges using a black pen. 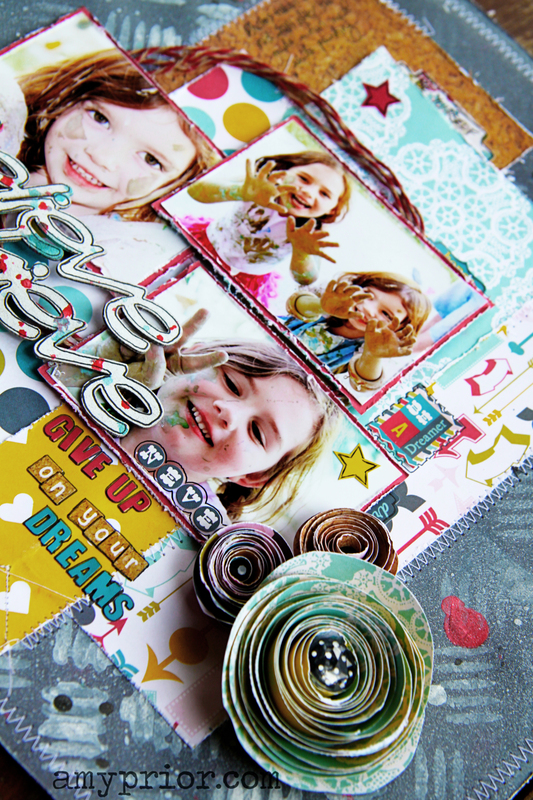 The fabulous papers and stickers that I have used are from the Fancy Pants Wonderful Day Collection and I have added lots of doodling and random stitching for added interest around these. Another part that was not in the instructions was the photo matting that I have done with the Red Paper from Fancy Pants LOL I know I am so naughty, I can’t ever follow directions especially my own haha. 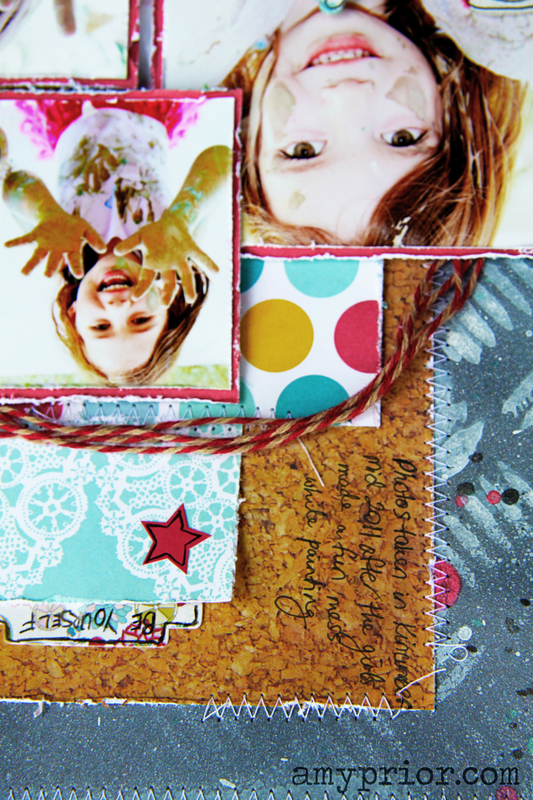 How fun is that cork paper? My flowers were created using left over papers and I will have a video up in the next couple of days showing how I did these so stay tuned. Have you checked out my YouTube Channel? 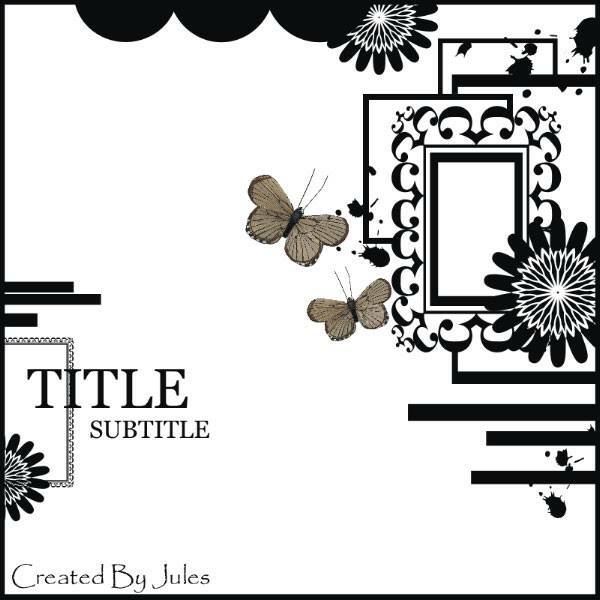 I am regularly uploading tutorials from basic scrapbooking knowledge through to advance techniques and product uses so click here to visit my YouTube Channel and subscribe today! That’s it from me today, can you believe that it is 1st of October tomorrow? Sheesh can someone tell me where this year has gone honestly it’s basically over and I feel like it has just begun. 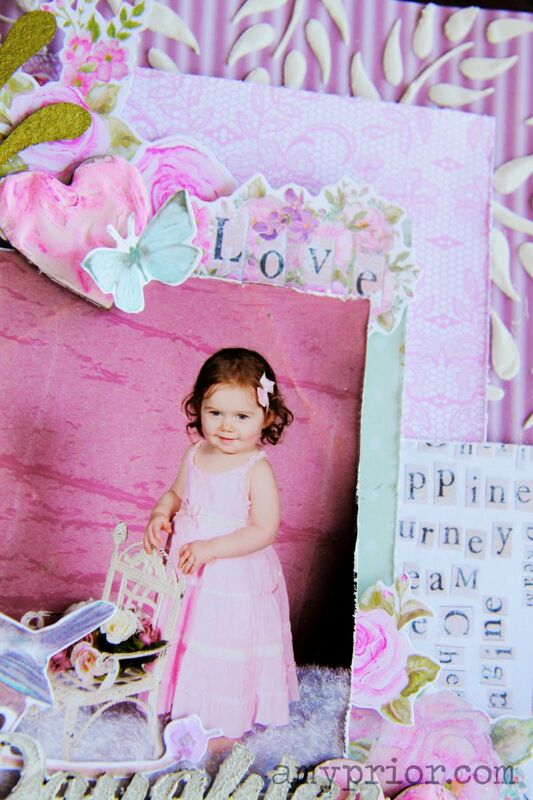 My baby Chloe starts Big School in February which is scaring me a little as it gets closer and closer. Howdy everybody!! I hope you are having a fabulous weekend wherever you are in the world. 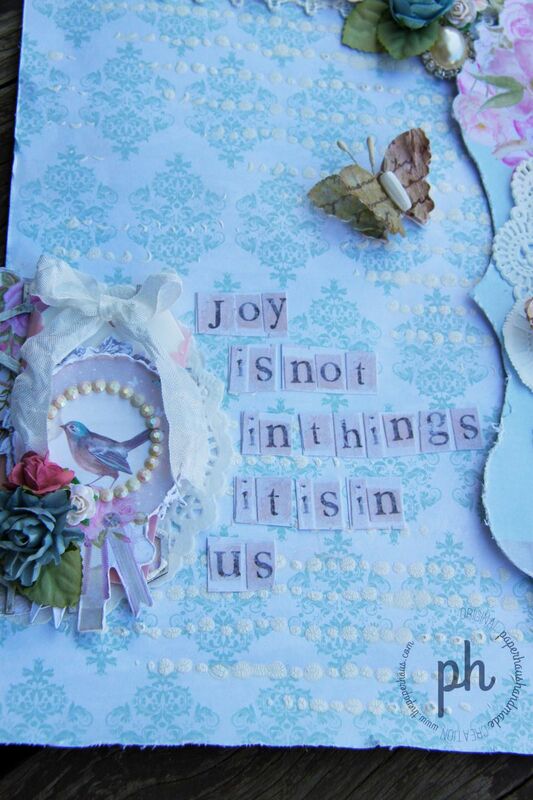 Today I wanted to come and share a quick layout that I have created based on the current Jot Magazine Mood Board Challenge which you can find on their website here, and Anita’s fabulous sketch challenge from Scrapbooking From Scratch which you can find all the information for right here. 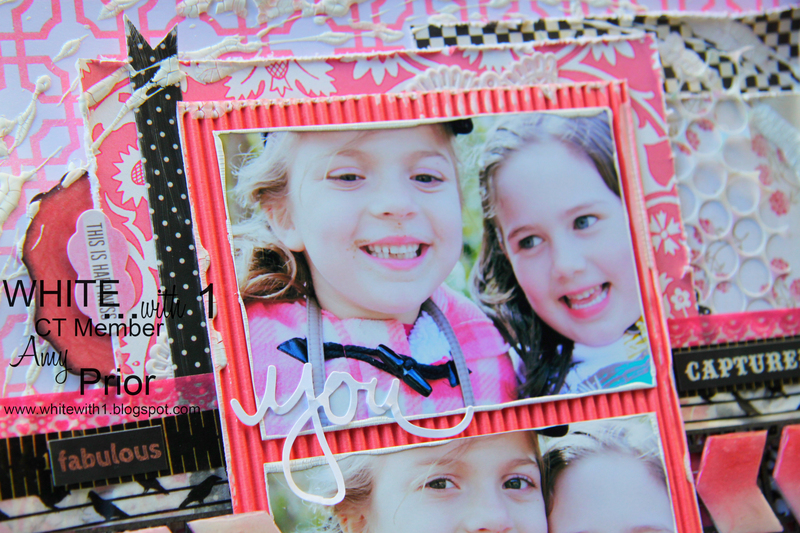 …and here is my take on these 2 fabulous challenges combined. 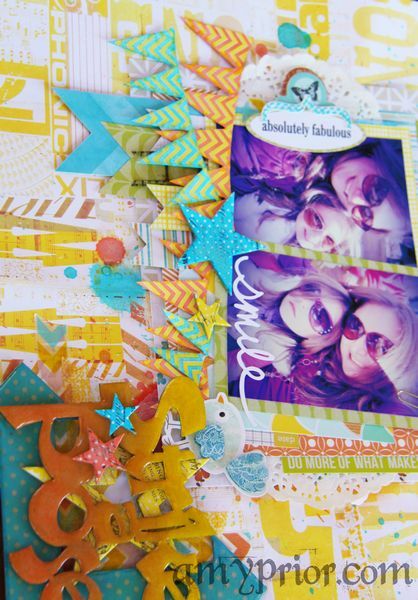 I just adored these fabulous bright colours but man was I out of my comfort zone using them all together! 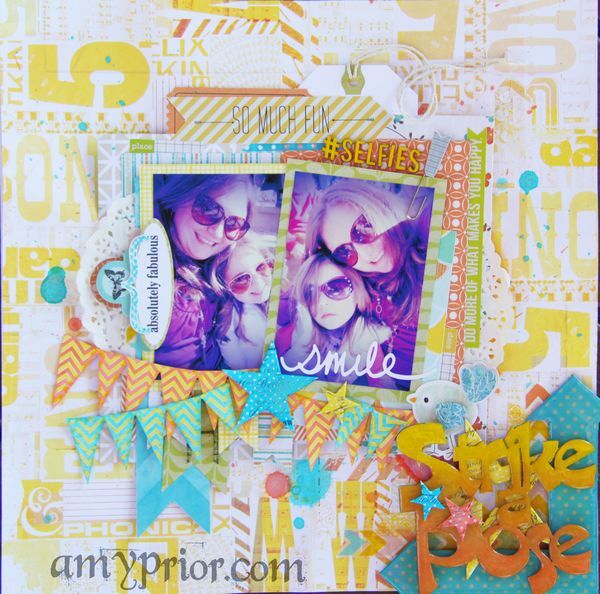 The title of my layout is “Strike a Pose”and I have used the Strike a Pose A2Z Scraplets Chipboard title painted with some Gelatos in an Ombre effect and then given a top coat of Glossy Accents. 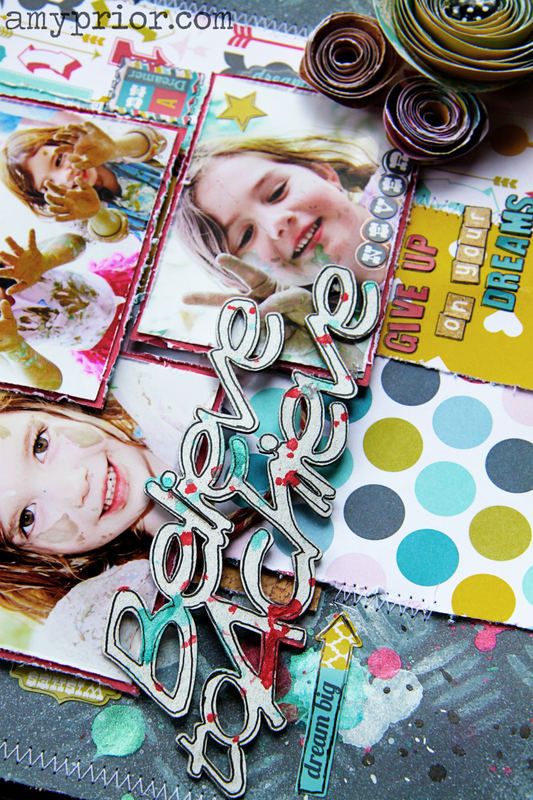 Enamel elements seem to be really in fashion in the scrapbooking world at the moment and the easiest way to create faux enamel is with paint or patterned paper and Glossy Accents. The patterned papers I have used are various from Studio Calico Hey Day Collection and a few different My Minds Eye Collections. 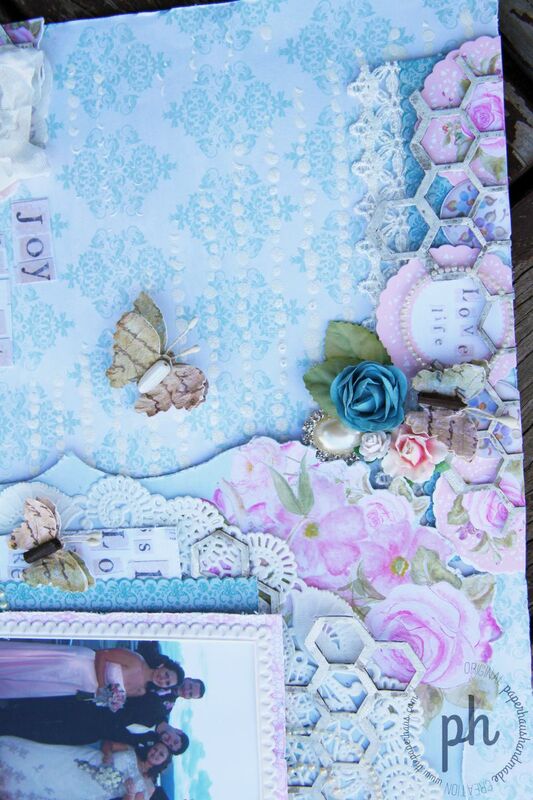 The elements all over the page are from various brands also including Heidi Swapp Banners, Pink Paislee Artisan Stars, My Minds Eye Die Cuts & Stickers, BoBunny Stickers, Jilibean Stickers, Basic Grey Stickers and so many more that I forget. The tiny little alpha are from the Studio Calico Wood Veneer range and I have simply painted these with some Yellow Gelato to match my layout. The fabulous Corner arrow chipboard underneath my title has been coated with some Blue Polkadot Washi Tape from Queen & Co followed by some Glossy Accents to help add more of the faux enamel look. 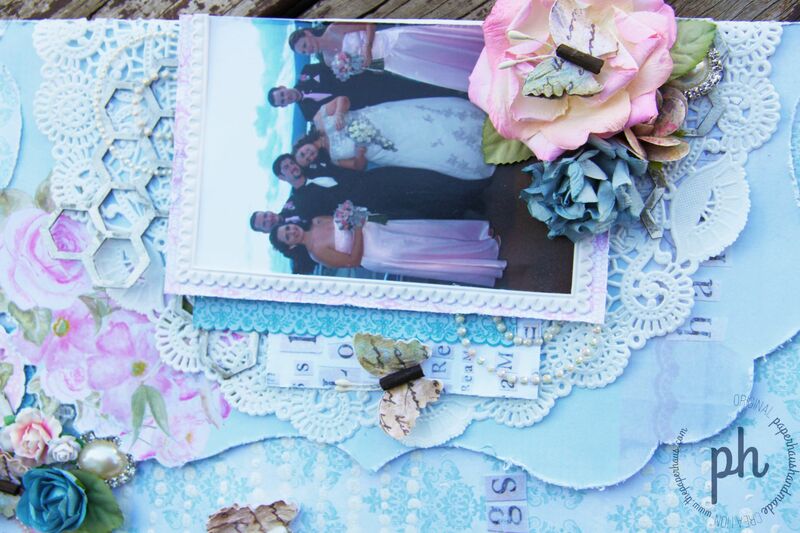 I have used various Lindy’s Stamp Gang Starburst Stain Sprays including Delphinium Turquoise Blue, Tiffany Lou Blue, Yellow Rose of Texas, California Poppy Gold & Hag’s Wart Orange. These Lindy’s Sprays have been splattered over my background as well as being used to colour my Pink Paislee Artisan Elements Stars. There are still 2 days left to get in your entries for both these challenges so go enter today! 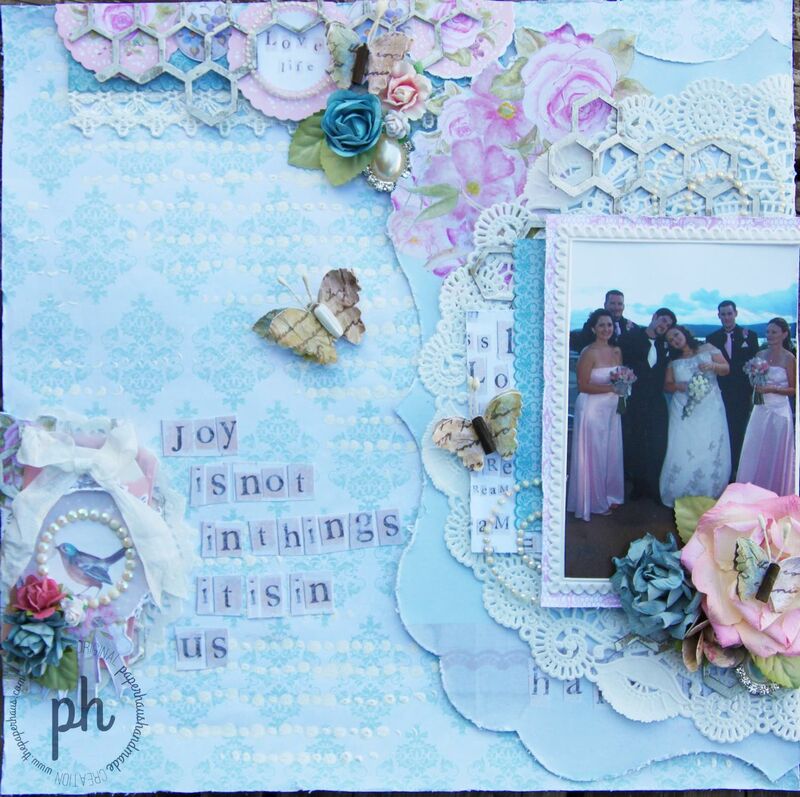 Well that is it from me today, check back in the morning for some more scrapbooking inspiration and don’t forget to leave me a comment so I can come and visit you also. Until next time, happy scrapping! Hi everyone! 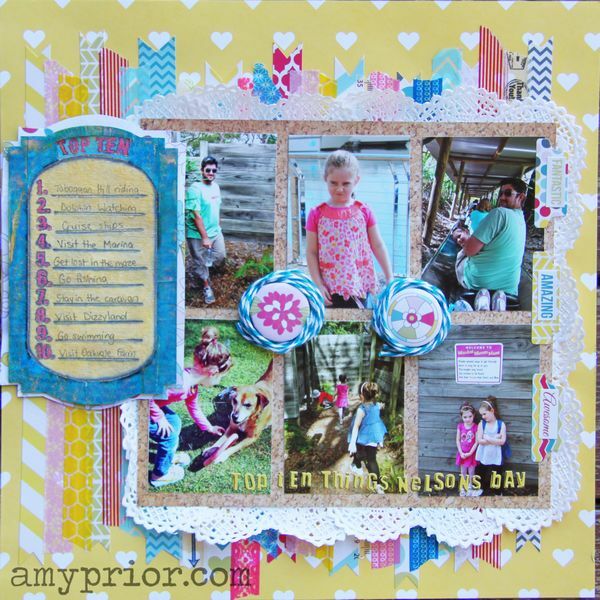 I am back to share a quick layout with you all that I had featured over on the A2Z Scraplets blog late last week. 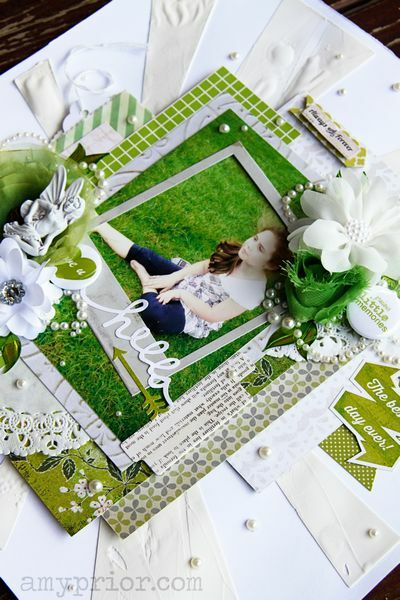 This layout is titled Daughter and features lots of products from the September Cest Magnifique Kit including the fabulous Kaisercraft True Romance Collection. If you haven’t heard of Cest Magnifique Kit Club then I definately recommend checking them out here. The kits are always stunning and I am always so very happy with the postage time all the way to me in Australia. I get so excited waiting for each kit to come and have been a subscriber on and off for a few years now. The background piece of Kaisercraft paper has been decorated using an A2Z Scraplets Leaf Stencilet along with some Modelling Paste. The stencil is actually just over 6 inches so I had to do the masking in 2 stages, first I have masked the top right corner and the bottom left corner and dried with my heat gun. I have then masked the remaining two corners and all without any smudging. Drying the Modelling Paste with the heat gun also creates a much nicer clean 3D puffy effect as I heat it till it boils and bubbles. Please be careful if you try this at home as I am certain that it would pop and not be pleasant if you don’t be careful. While I had my modelling paste out, I have smeared a random amount onto my craft sheet and then I have pressed my A2Z Scraplets Chipboard title down into the modelling paste and lifted up quickly and roughly. 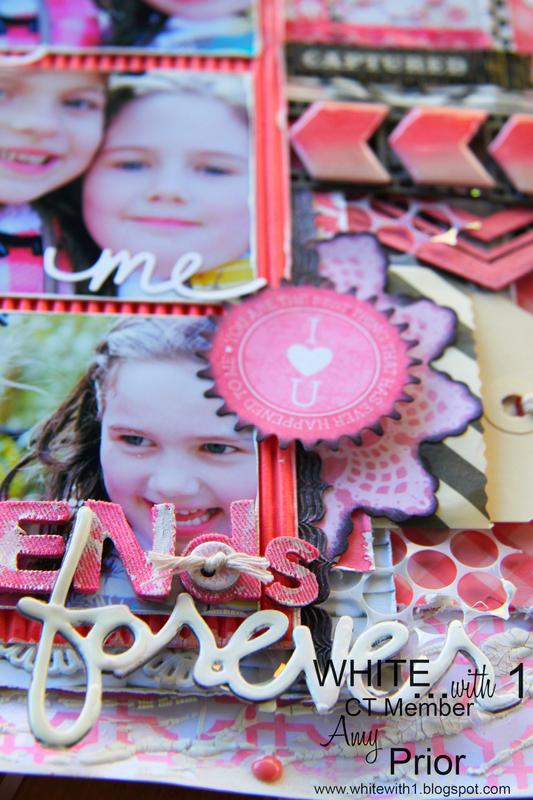 This has left a fun texture on the title and was really so very simple, easy and looks super shabby! 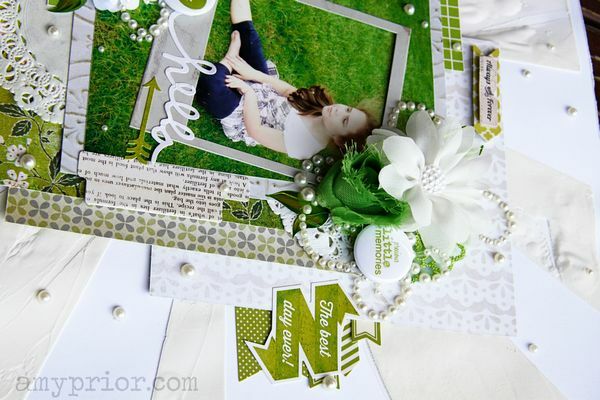 The A2Z Scraplets Paisley Chipboard Flourishes have been given a simple misted coat of Heidi Swapp Chantreuse Color Shine Spray which just helped bring out those greens in the beautiful die cut pieces. 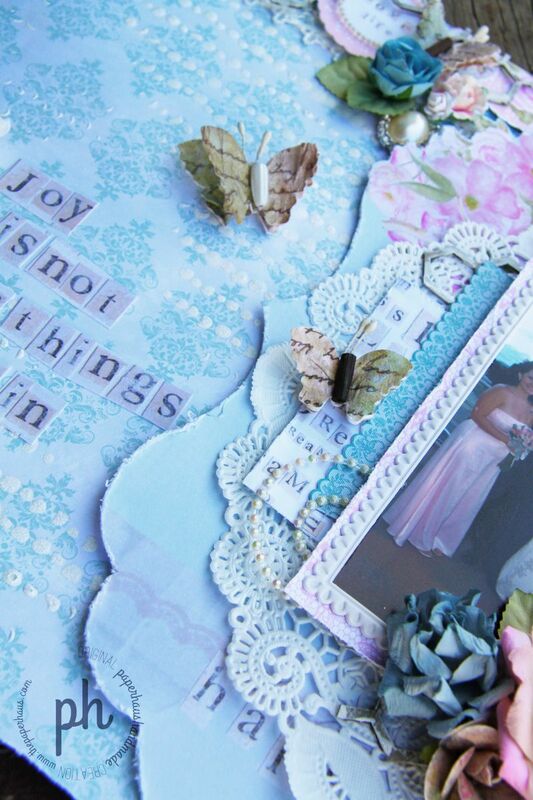 I just adore the fabulous Kaisercraft True Romance Die Cuts Package and I have used tonnes on this layout but the best part is that I still have literally double if not triple this amount left over for other projects. Love a good value for money product! The kit from Cest Magnifique Kit Club included these fabulous Melissa Frances Vellum Envelopes and Tags so I have added a satin seam binding bow to the tag and have journalled on before inserting back into the hidden envelope behind my clusters of die cuts. 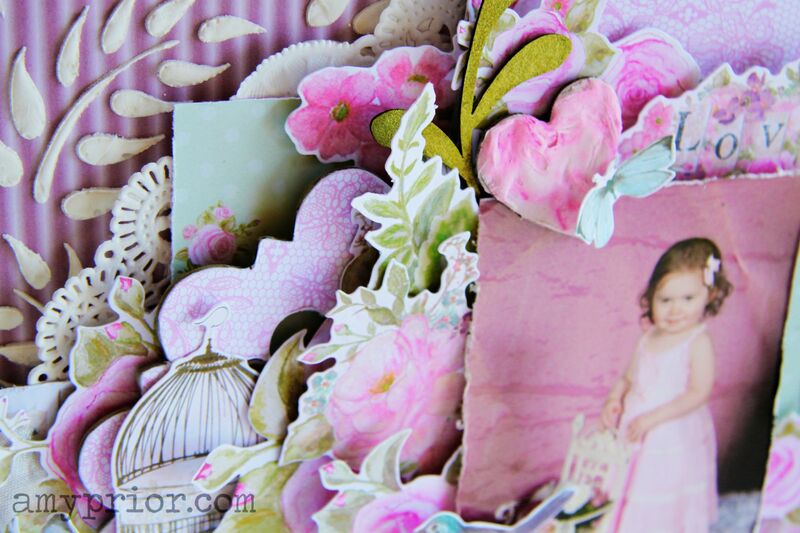 Amongst the gorgeous layers there are also some A2Z Scraplets Chipboard Hearts that have been smeared with a good peanut butter style coating of modelling paste and then sprayed with Lindy’s Stamp Gang Plumeria Pink Flat Fabio Spray. 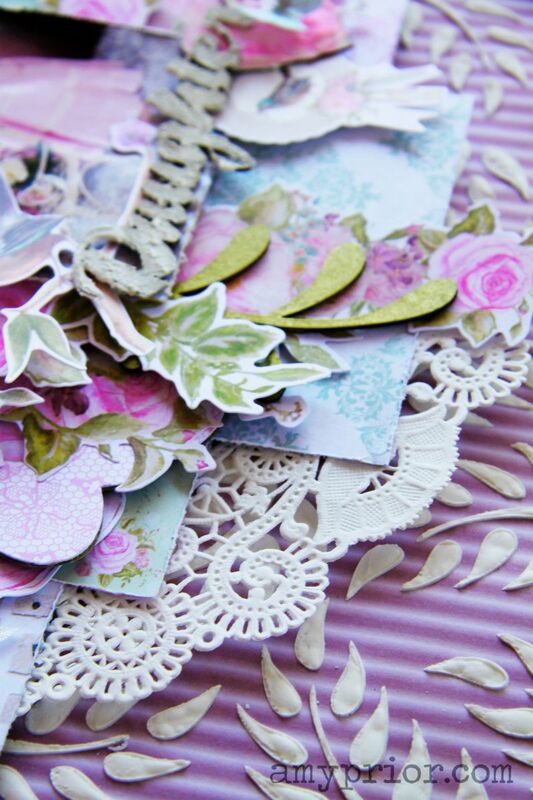 There is also one of the fabulous A2Z Scraplets Chipboard Doilies that I have simply covered with some of the Kaisercraft True Romance Papers and then finished it off by sanding the edges back. 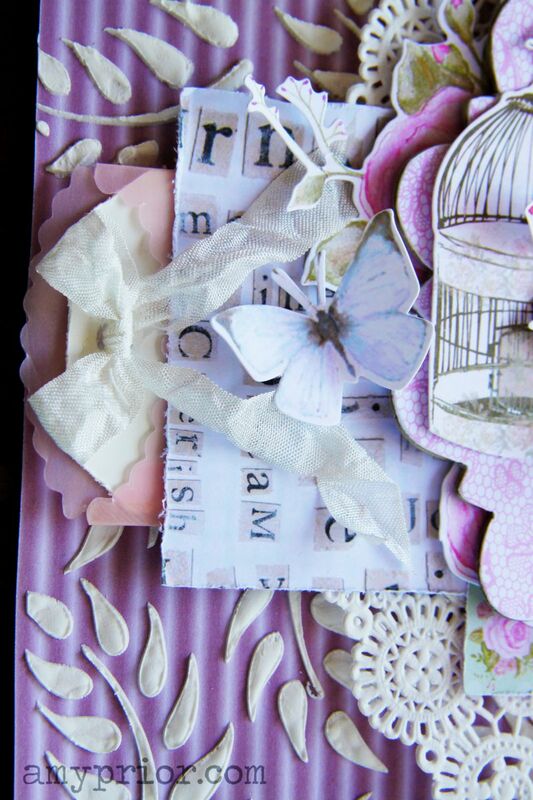 I have added even more dimension to my layout by popping up some of the butterfly die cut wings making it look like they are about to take flight. 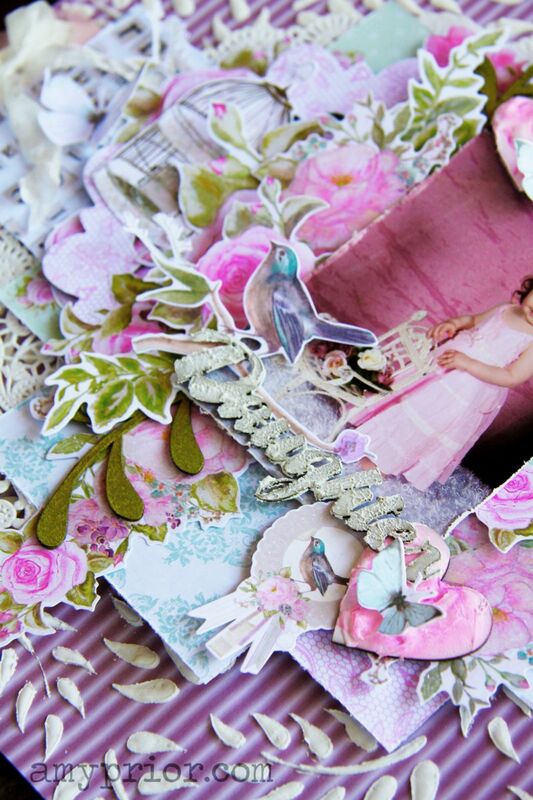 I hope that I have inspired you to get creative with Modelling Paste & A2Z Scraplets Chipboard & Stencilets. I will be back tomorrow with some more inspiration just for you! Until next time, happy srapping!